This is the last Triberr post for a little while. I’m going to move on to other subjects and come back around to Triberr if the questions pile up. Part 2 – How Do I Splash In The Triberr Kiddie Pool? We’ve given away 12 spots in the More Cowbell Tribe as a result of the Triberr Comment Contest. I still have the Magic Hat of Triberr Love safe on a shelf in my closet and I’ll pick the last three names from the comments on this post. Part 5 winners will be announced in this Thursday’s post. All of us in the More Cowbell tribe are looking at March 3rd for the webinar so mark your calendars, tribemates! Note: Once we’ve done this one, I’ll look at whether there’s a need for more and we’ll figure out where/how to hold them. When you create a Triberr account, you are given 100 bones free and clear. 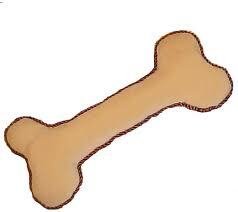 You can earn bones by giving karma or helping other Triberr pals out. You can buy bones (for approx. $0.06 each). Getting new people into Triberr is free. Adding exisiting Triberr members (called inbreeding) costs 15 bones. Unlocking a tribe for inbreeding costs 90 bones. I’m a cheapass very frugal and the idea of spending 15 bones (whether the person accepted my invite or not) was chapping my spirit of bone conservation. Adding to this was my perceived insult of having to pay 15 bones to accept an inbreeding Invite. While you’re a captive audience, let’s talk bones. Why do I pay 15 bones to invite someone into my tribe and then THEY still have to pay 15 bones to join? Why do the 15 bones to invite someone charge out immediately, even if that person NEVER joins my tribe? Why must I pay 15 bones to invite someone the first time, then have to do it again when they lose the first invite and ask for a new one? Are you seeing the theme here, Triberr Guys? There’s a ton of repetition for bones that provide no value to anyone. I don’t mind paying them, but I want to get the value. Obviously, I’m not the first hormonal hag questioning customer these two have ever dealt with. They provided some extremely sound and logical answers to my questions. In terms of bones… We charge both the member sending the invite, as well as the one joining because we want people to think a bit before they join a new tribe. Let’s say that you invited me to a tribe and it cost you 15 bones to invite, and 0 bones for me to join. Of course I would join just to check it out, but I might leave the next day. Now you’re out 15 bones. However, if I have to pay 15 bones to join, I won’t be popping in and out of tribes. I’ll do a little research upfront to see who the tribemates are. If I decline your invite, you get your 15 bones back. We ask members to pay the 15 bones up front so they can’t spam out hundreds of invites, then when the invites are all accepted, they don’t have enough bones to cover them. Remember, if an invite is declined, or if you revoke the invite, you get your bones returned. Lightbulb moment! You mean if I don’t want to join a tribe or I can’t get in, I should DECLINE the invite?? And if someone lets their invite sit there growing mold, I can REVOKE it and get my bones back??? For the third question… I don’t get the “lost” invite. You should have a record of all the invites in your tribe invites page. If a member doesn’t “get” the first invite, you can revoke it and send it again. When you revoke the invite, you get your bones back. Dan and Dino work their hineys off, keeping up with tribes, bonfires, blogging and the other day jobs they do. There are moderators for the bonfires, and they do get some moderate income when we buy bones, but most of the Triberr moolah at this point goes to saving us consumers lots of time. Yes, there’s still some bugs in the program and they work to fix them. One of the things they’ve had to do as Triberr grows is farm out support. http://support.triberr.com is run by a third-party system and you need to set up a separate login to get into it. There is a ton of info in the bonfires, but sometimes you’ve got to hunt around for it. As long as you’ve tried poking around yourself, these two tireless Triberrs or one of their moderators can usually point you in the right direction. But make me the happiest trainer in the world and at least try to fish (Google for help) before you ask them to fix a problem for you. One of the reasons why I love Triberr is it saves me time. It does not get me out of my social media responsibilities! I mean that we are not bots who mindlessly send out links. We support our fellow tweeps by pushing their posts out as far and wide as we can, with kindness and forethought. This includes Facebook, Twitter, Google+, StumbledUpon or LinkedIn. I’m not saying you must do all platforms for every post, but try to do a variety across the day based on post content and who you want to expose your fellow bloggers to. I’ve gotten some hits in the hundreds from StumbledUpon, as have K.B. Owen, Natalie Hartford and Myndi Shafer. One of my LinkedIn groups LOVED some of Julie Glover’s Amazing Words Wednesday posts. If you don’t know enough about a person’s post to use some applicable hashtags, hold back from tweeting it until you can take a peek. It’s the polite thing to do. Have we covered all the topics of interest in Triberr? Is there anything else you want to ask? Do you have Triberr tips or tricks to share? Enquiring minds always want to know these things here at More Cowbell! 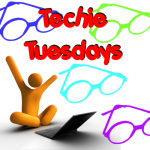 This entry was posted in Techie Tuesday, Triberr and tagged Jenny Hansen, More Cowbell, networking, Social Media, time management, Triberr, Twitter. Bookmark the permalink. So there’s a “new” option with bones where you can put a member’s posts on auto-send. Supposedly, it costs 2 bones to approve. My question: Is that 2 bones per each member, or each time the system sends out a message from that member? A measly 2 bones is nothing, but if the person posts a LOT, then I’m wiped clean … quickly! That’s interesting, Louisa. I’ll tag Dan and Dino and see if they have time to respond to this question. We earn bones by clicking the thumbs up under the “approve” button for blog posts, right? I thought I read that somewhere and I have noticed that my bones have increased though I haven’t paid enough attention to see if I’m getting a bone for every thumbs up. Great post! Very helpful. Thanks so much for taking on this topic. It’s definitely NOT a bone per thumbs up but that does beg the question of how many thumbs up does it take to earn that bone. It is certainly not a bone per thumbs up but I’ve noticed that about every 8-10 bits of karma you give away, you get a bone. If you go into the Bonfires and comment on things, that helps too. Everything participatory builds karma. Great info, Jenny! Thanks for the shout-out, too! BTW, how do you get your post linked to LinkedIn? I didn’t know you could do that, and I’ve been kind of ignoring LinkedIn. Oh, and have you tried Pinterest? I’ve been digging Pinterest – I’ve looked around and checked out other pinboards, but haven’t made my own yet. It’s on my list. 🙂 I’m also thinking of utilizing it for marketing with the accounting firm I work for. There is a little “in” button on the share bar at the bottom of each post in Triberr. If you go to Part 3 of this series, it talks about how to ROCK your Tribal Stream and LinkedIn is part of this. You need to get set up on LinkedIn first if you aren’t already. Perhaps I should replay my LinkedIn posts?? WOW Jenny … You really “nail it” in this article. I always come away with absolute “pearls” everytime I read one of your posts. Please keep giving us this GREAT CONTENT ! The entire point of me doing this series is to give you all the tools you need to go forth and make your own tribes with the people already in your circle. You always want to go through this learning curve with your fellow tweeps (who are loyal and patient). I use Random.org to pick the names of the winners for the comment contest, so there’s plenty of chance that it will be you. In the meantime, join Triberr and go hang out in the Bonfires to find like-minded bloggers. You want a tribe with a common goal so you are comfortable tweeting everyone’s posts. Jenny … please contact me by eamil or facebook. I wanted to join the Triberr family with YOU, and do not know how to get started. Muhammad – please see the comment above. Thanks again Jenny – I would not be in Triberr without your unbelievably helpful posts and Natalie’s persistence! It’s still not always clear to me but I’m getting there. I hate how the internet can make me feel like such a dumba**! I’ll add this post to my Triberr file. Glad you joined my tribe, Patricia. We can all fumble around together. I have a sign at home that says, “I’m smarter than my computer thinks I am.” It makes everyone feel that way at one time or another. Yeppers…excited to have you in the Tribe!! Thanks, Jenny. I’d never noticed the “Tribe Invites” listing. Just went through and deleted a bunch, although I’ll probably re-invite most of them. Strangely, the “Invites” list shows several as having joined who do not show up in my tribe list. Hmmm? Fab, fab, fab info here. Thanks for clearing up the bones issue for me. Totally makes sense now. I pimped you out at the conference last weekend. So many people have never heard of Triberr and I told them to check out your blog because you are the Triberr Queen. I really hope they stop by. I appreciate the pimping! You’re awesome. You’re awesome too. Stop making me laugh so hard. I like Donna Newton’s Wee Lass or whatever it’s called. Actually, I like toilets in 5 star hotels. Fantastic post Jenny. Love the detailed explanation on bones. It all makes sense now. I actually had no issue buying some bones. $10 gave me all the bones I needed to create the wana711 tribe and I figure for all the value Triberr offers, it’s the least I could do to help and support this up and coming platform. And the system they’ve set up, when explained, makes much better sense. I didn’t quite get it either but it’s about making people think before they leap and that…is always a good thing! Tks for the FAB shout out!! You are the Triberr Queen…woot woot! It’s becoming clear to me now. When I started reading the blogs about Triberr I was confused now I understand the basics. Thank you for sharing, can’t wait for the new series. If I could, Jenny, I would hire you to come to my house for a day and walk me through using all of my social media sites effectively. I’m on LinkedIn, Goodreads, and Facebook but don’t even begin to use those sites as much as I should. Through your Triberr posts, I also see that I’m not getting all the bang for my buck from Triberr either. I’m not sure how you manage to do all that you do, learn about these sites, AND teach us, but thanks for doing it! I’ve got some bone management to do now. I’m still figuring out the bones thing, and this is a big help. Thanks! I agree about the “bot” thing. That’s why I don’t auto approve even my closest friend’s post, because I want to be able to read and tell others why they should. Looking forward to joining the Cowbell Tribe! LOL Jenny! I guess what I’m trying to say is that the more I read about Triberr the more I seemed confused, so I’m clinging to my old ways. Is there no hope for me? Maybe I need a tutorial. That and the fact that I have so much going on right now. You know me and this techie stuff just don’t mix. 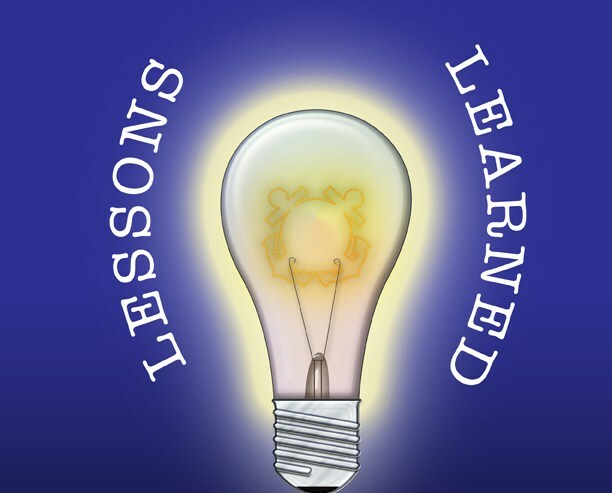 I need to go back and reread the earlier lessons, especially now that I’ve been on Triberr for a while. Too much to take in at the beginning, but now that I’m feeling comfortable, it’s time to step it up a notch. Thanks for the wonderfully informative post! So if I want to join your tribe, can I pay both, my 15 bones and your 15 bones? I would love to cover your cost too, if that’s even possible. Let me know, please. I still want to join yor tribe- pretty please?! You know what is hilarious about this? I asked the Triberr gurus why we couldn’t donate bones and they just haven’t perfected it yet. I’ve already tried to push you into that first tribe once – I’ll try it again (check Inbreeding on your Home screen). Jenny: I was invited to by David Walker and joined. I can see all of y’all, but I had no idea how the cowbell to get started. I guess I need to take another look. I also try to spread the love around various websites. StumbledUpon is not for everyone. And a new, up and coming site for educators in #highered is @profology. I have had hundreds of extra hits by sending posts there and having them RT them for me. I can’t say that I understand Triberr yet, but I need to read this series more carefully. Thanks for the info. I love that you have written this series. I read through it over the weekend. Though there was stuff I had already figured out, I learned a WHOLE LOT. I’ve been experimenting with posting to different social media sites. I’ve also found the Google +1 button to be a great way just to let someone know I liked his/her post. Again, thanks for all the work you put into this. p.s. I got your email and will respond – I just haven’t gotten that far yet. As for the research and effort, I can totally tell you put it into these posts. I really did enjoy them. As for the email, I’ll look forward to hearing from you…but take your time. Seriously. Thanks for this! I just signed up with Triberr but haven’t looked around yet. This will get me off my behind to figure it out. Anything that saves me time and organizes things has got to be good! Thanks for this; I’m in a small but active tribe already, and considering my options for joining another one. Love, love, love your Triberr posts, Jenny! I can’t wait to sit down and really take a good look at them so that I can get Triberr to work for me as best as it can! Thanks for explaining the bones, Jenny. Your Triberr series has been a great help. There are so many social medias and tools to keep track of that it’s a huge relief when someone explains one in-depth. And thanks for linking back to your Twitter posts. Great insights there too. Another great post, Jenny! The series has been amazing! You’ve helped so many! What a trainer! I’m finally at the point where I’m enjoying Triberr…still have a little to perfect but I’m managing pretty well on it now, thanks to you. Well, Man-On-The-Lam… (love that, BTW) – I know how to turn it on, so hopefully that’s where you’re going to go to turn it off. Go to your Tribal Stream and hover over your tribe members’ faces (in each post window). A box will pop up telling you how much of your Triberr traffic they bring in and that’s where the option to turn auto-tweeting ON is. Perhaps for you, it will let you turn it OFF. Please let me know if this works. Otherwise, we’ll get the Tech Gods involved. One thing though, this is an old post and I just looked around and I can’t find it so I’m going to tweet Triberr and ask them directly with a copy to you. I think this is for the old version of Triberr when auto-tweet was the standard. There is no slider under Settings to change auto-tweets to off. Raymondo, thanks for taking the time to come back and let everybody know it worked! Go into Tribe Members area, hover over the thumbnail of your fellow Triberrs and look for the one that is enabled and then disable it. I’m also pretty sure that if you have enabled the Auto-tweet for 2 bones feature that those tweets do not show up in your Stream — you have to go into Tribe Members area to disable it.